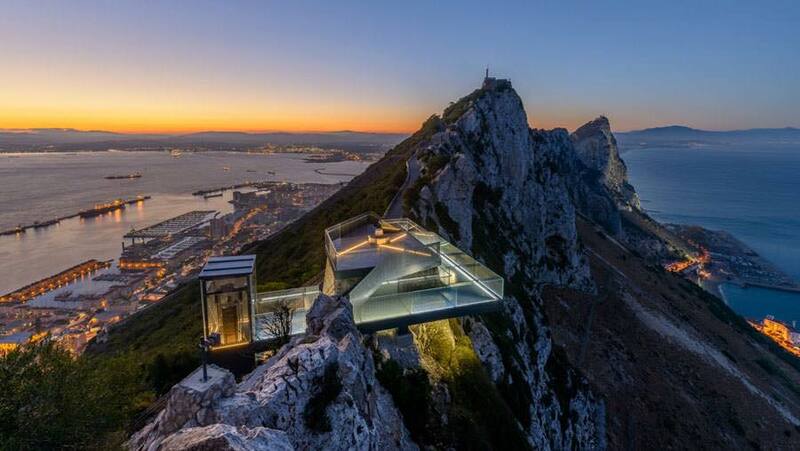 Gibraltar, the small portion of English land located on a south coast of Spain, is dominated by the Rock of Gibraltar. 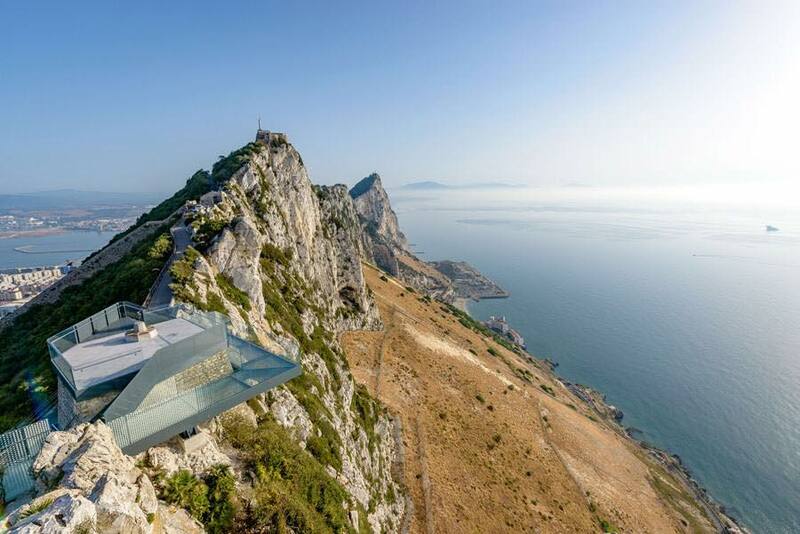 The local architecture firm Arc Designs has recently built the Skywalk, a panoramic terrace that offers a breathtaking view of the surrounding territories. 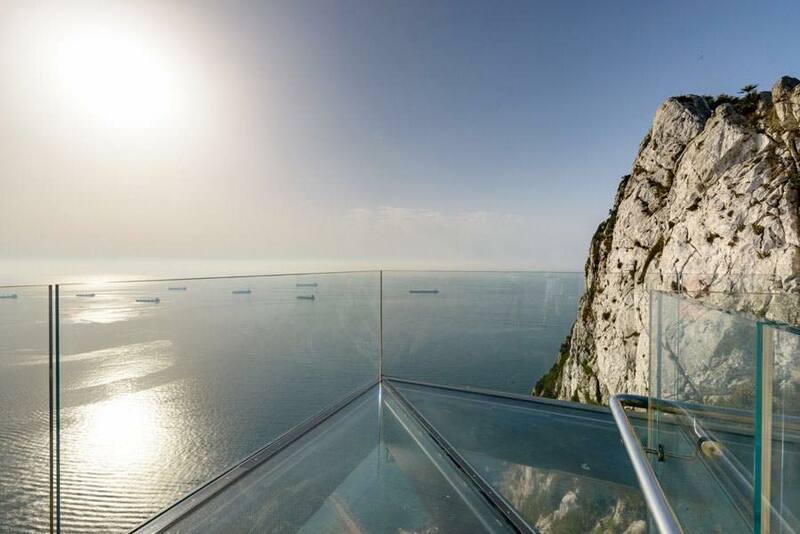 The terrace is 340 meters above sea level. You get there through a glass elevator or glass stairs. 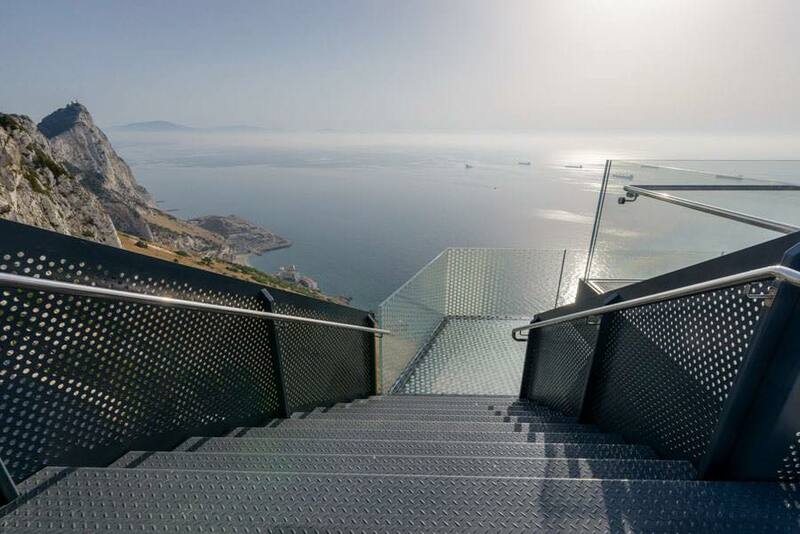 It offers a 360 degree view, both on the European side and on the African one. The study stressed that their project had the goal of not impacting too much on the environment. The Skywalk has been designed to withstand strong gusts of wind, and to support the weight of five elephants. It rests on an aerial platform exploited during the Second World War. 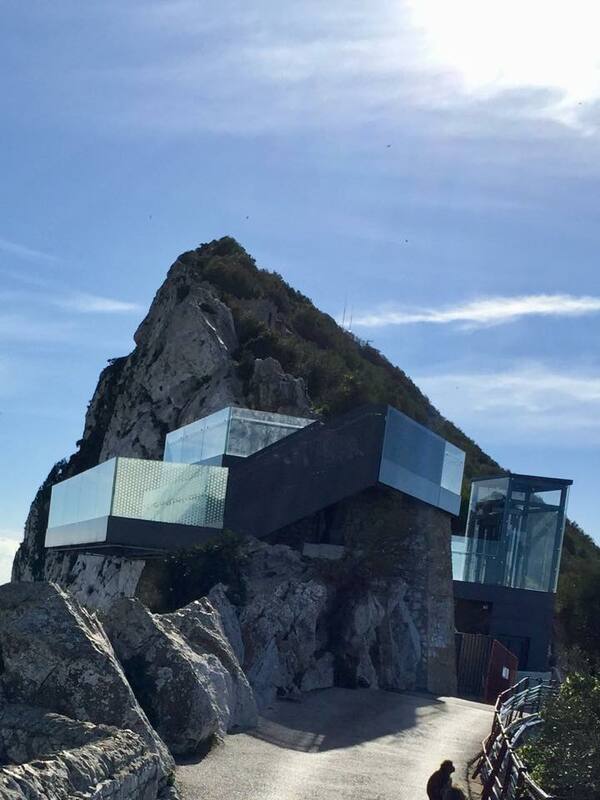 Today, Gibraltar exploits this platform, among other things, for the relaunch of tourism in the area.